How influential has the Nazi analogy been in recent medical debates on euthanasia? Is the history of eugenics being revived in modern genetic technologies? And what does the tragic history of thalidomide and its recent reintroduction for new medical treatments tell us about how governments solve ethical dilemmas? 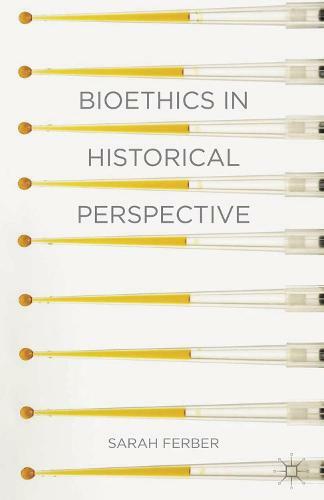 Bioethics in Historical Perspective shows how our understanding of medical history still plays a part in clinical medicine and medical research today. With clear and balanced explanations of complex issues, this extensively documented set of case studies in biomedical ethics explores the important role played by history in thinking about modern medical practice and policy. This book provides student readers with up-to-date information about issues in bioethics, as well as a guide to the most influential ethical standpoints. New twists added to well-known stories will engage those more familiar with the challenging field of contemporary bioethics.